Clears most common skin diseases, fungus, rashes, scars, hemorrhoids and dandruff. Directions: Pour onto a wet washcloth, apply to hair and body. Lather and rinse. 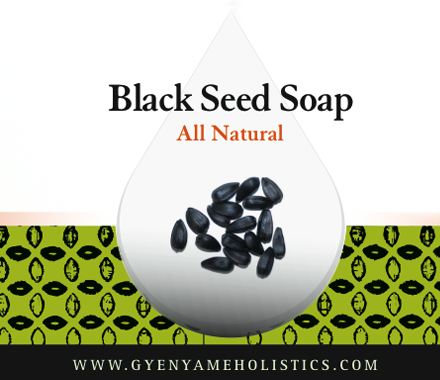 Water, black seed, cocoa pod, plantain skin, banana skin, yam skin, lemon skin, watercress, rosemary leaves, basil, parsley, garlic, cucumber, trumpet leaf, tamarind leaf, sage, mustard seed, celery seed, palm kennel oil, shea butter, cocoa butter, sweet almond oil, mango butter, glycerin and aloe barbadensis. 16 oz. dark glass bottle. Bentonite Clay- 100% Pure - 4 oz.